I’m writing this review at the time of the Ferguson protests, and by the time this publishes those events may already be over but I can’t help but think about Ferguson while I remember the things Robin Talley put so much time and passion into recreating. The image of young black teenagers being hurled racist abuse, attacked and threatened while standing up for their right to an education…it breaks my heart a little bit that right now it seems like America (and the world at large) hasn’t learned from the immense, bloody mistakes that make up so much of history. 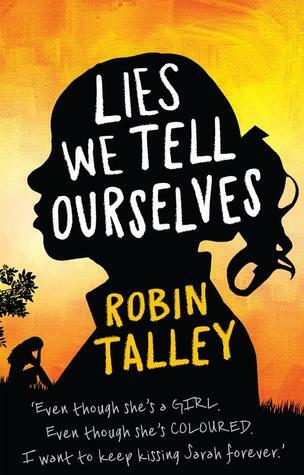 Lies We Tell Ourselves is a powerful, moving story about love blooming during the early civil rights protests in America. Sarah Dunbar, an exceptionally clever young black girl, is chosen to be one of the first black teenagers to attend previously all-white schools after integration was legalised by the courts. Talley’s meticulous research shines through in the vivid, unpleasant and often upsetting scenes that illustrate Sarah and her friends’ struggle to fight for the right to an equal education – she drew on real historical events such as entire school districts closing their doors to all students rather than admit black students; the language, the brutally honest depiction of the media circus surrounding integration…Talley is an amazing writer and it sort of takes my breath away that this astonishing novel is her first. Sarah and Linda, our two main characters, are so well developed. Both are amazing characters and because of their completely opposite backgrounds their different narratives offer two perspectives on the events that are unfolding around them. Sarah is black, with parents heavily involved in the civil rights movement while Linda is introduced as the daughter of an influential columnist responsible for much of the anti-integration propaganda found in the local news. Linda is popular, an all-American 60’s sweetheart – a white teenage girl horrified by the prospect of the inferior race pushing their way into her well-ordered life. Sarah, her siblings and friends find themselves reluctantly a part of a movement that often feels too big and heavy for the shoulders of teenagers to carry. Forced to work together for a school project, the two find themselves having to face truths they’ve been trying to hide while dealing with the way in which their worlds shift just by knowing each other. These two girls broke my heart over and over again with the way in which their opposing views slowly grow from ignorance and hate into this utterly bittersweet, profound relationship. Lies We Tell Ourselves is a love story – it is a story about individuals reconciling the truth about themselves they’ve been trying to hide but it also carries, I think, a larger message that love can overcome anything. Love is understanding, it is respect, it is courage and it is not limited to gender or race. 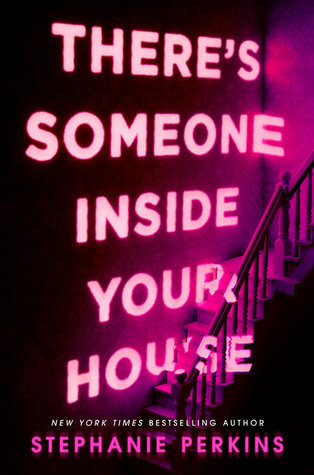 This is also an incredibly clever novel. It is political, it is brutally honest, it is respectful of female characters – Talley never ever resorts to violence on women to make a point and she depicts girls in all their complexities. Different beliefs are depicted with care and honesty, and I know I keep repeating that word but Talley is so, so good at what she does. This is a book about pulling apart lies! About exploring racism and ignorance! About feminism in a time when girls were expected to marry straight out of high school, not by choice but because that was the ‘accepted’ thing! About girls who find other girls attractive and how they come to terms with who they are and how it’s okay to be that way! There is even an undercurrent of religious discussion, you guys! But what I personally thought was so great about this book was that Talley takes all the typical tropes found in heterosexual relationships in literature (especially Young Adult) and incorporates that into creating a relationship between two girls. It sends a message that these popular depictions of relationships shouldn’t be limited to heterosexuality and very effectively crushes the argument that such tropes wouldn’t work in LGBT fiction. Representation, basically. Have I given this book enough praise? I really don’t think that’s possible but what I can do is stand here and shout from the rooftops that this is a book that deserves to be read, discussed and experienced. Get a copy, read it, make your friends read it, harass your family into reading it and possibly consider selling your soul in order to ensure that Robin Talley never gives up this gig. Wow, you hardly ever give five stars so now I’m interested. Tell me, will I like it?